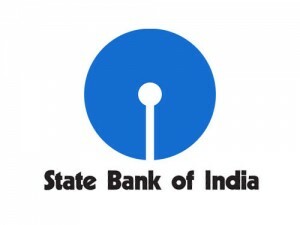 State Bank of India as announced Recruitment Notification for about 2200 Probationary Officer Vacancies. Candidates must have passed graduation in any discipline from a recognized University or any equivalent qualification recognized as such by the Central Government. The candidates who are in their final year or semester of graduation are also eligible to apply provided that they will be required to produce the certificate of graduation degree on or before 31st August 2016. Candidates having an Integrated Dual Degree (IDD) certificate should ensure that the date of passing the IDD is on or before 31st August 2016. Candidates possessing the qualification of Chartered Accountant may also apply. Application fee: Candidates have to pay Rs.600/- for General & OBC and Rs .100/- for SC/ ST/PWD candidates through Online mode only. Preliminary Examination (Phase-I): Preliminary Examination consisting of Objective Tests for 100 marks will be conducted online. This test would be of 1 hour duration consisting of 3 sections as follows. Adequate number of candidates in each category as decided by the Bank (approximately 20 times the numbers of vacancies subject to availability) will be shortlisted for the Main Examination. Main Examination (Phase-II) –Main Examination will consist of Objective Tests for 200 marks and Descriptive Test for 50 marks. Both the Objective and Descriptive Tests will be online. Candidates will have to answer Descriptive test by typing on the computer. Immediately after completion of Objective Test, Descriptive Test will be administered. Group Discussion and Interview (Phase -III) – The aggregate marks of candidates qualifying in both the Objective Tests and Descriptive Test will be arranged in descending order in each category. The Group Discussion of 20 marks and will be conducted for short listing the candidates followed by personal interview of 30 marks. Adequate number of candidates in each category, as decided by the Bank will be called for Group Discussion and Interview. The qualifying marks in Group Discussion & Interview will be as decided by the Bank. The marks obtained in the Preliminary Examination (Phase-I) will not be added for the selection and only the marks obtained in Main Examination (Phase-II), both in Objective Test and Descriptive Test, will be added to the marks obtained in GD & Interview (Phase-III) for the preparation of the final merit list. Group Discussion & Interview (out of 50 marks) are converted to out of 25. The final merit list is arrived at after aggregating converted marks of Written Test and Group Discussion &Interview out of 100 for each category. The selection will be made from the top merit ranked candidates in each category. Result of the candidates who have qualified for GD & Interview and the list of candidates finally selected will be made available on the Bank’s website.